Dr. Nirit Bernstein is a leader in Medical cannabis research, and irrigation with recycled water in Israel. She is a principle research scientist at the Agricultural Research Organization, Volcani Center, Israel. She has a Ph.D. in Plant Physiology from the University of California, Davis USA, and a B.Sc. in Agricultural Sciences from the Hebrew University of Jerusalem, Israel. Her research focuses on production and physiology of medicinal cannabis by manipulation of environmental treatments; optimization of agrotechniques for environmentally stressed plants; mineral nutrition of plants, and plant stress physiology. Bernstein has published over 60 academic publications, 10 book chapters and inviter reviews, and is a member of the Editorial Board of five international scientific Journals. She also serves as the Chief Editor of scientific manuscripts in Hebrew for the Ministry of Agriculture in Israel, she was a project leader of 60 national and international research projects, and she teaches 2 graduate level courses at the Hebrew University of Jerusalem. 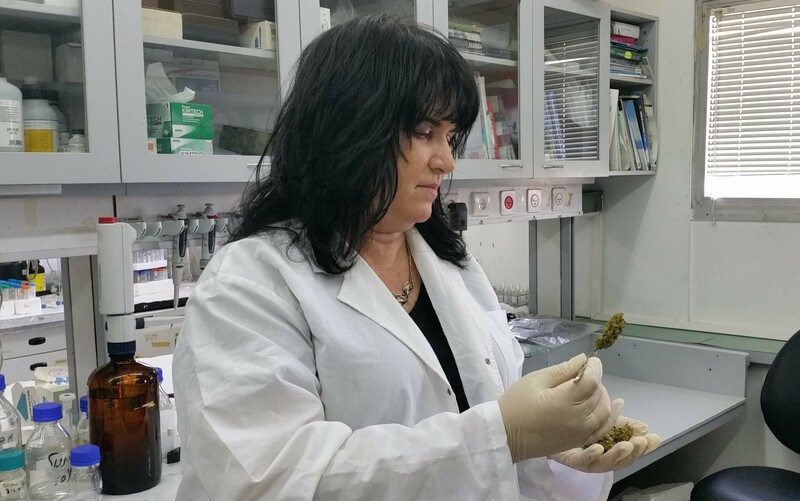 Bernstein has been attracting a lot of attention in Israel because she was the first agricultural researcher to be licensed to study Medical cannabis in Israel. Nirit Bernstein resides in Israel but comes to the U.S. frequently. View a Jerusalem Post article on Dr. Bernstein and her work here. With governmental approval and encouragement, Israel is a global leader when it comes to pioneering medical cannabis research and development. In the lecture, Dr. Bernstein will discuss breakthrough discoveries in Israel, innovative cultivation techniques, medicinal uses, technologies and regulation. The water balance in Israel is at a turning point. Israel is drying out! Severe shortage of water necessitated innovative and sustainable utilization of marginal water. Dr. Bernstein will discuss how these water sources, such as saline water, treated effluents, and desalinized sea water, are successfully used in Israel, creating a model for water conservation. Israel is a world leader in agricultural research, and techniques developed in Israel in all aspects of irrigation, plant cultivation, nutrition, sustainability, and water management have been exported to developed and developing countries throughout the world. Dr, Bernstein will present major breakthroughs in agriculture from Israel that have made the world a better place. Dr. Bernstein will present projects that she is leading in the fields of medicinal and aromatic plants, water conservation and irrigation with recycled water with Palestinian, Jordanian, and scientists from throughout the Arab world which positively impact Israel’s Arab neighbors. Often under the radar and in very complicated conditions significant cooperation takes place. Israel’s Volcani Institute is older than the state of Israel and provided the basis for Israel’s miracle in making the desert bloom and creating what today is high tech world leading agriculture. Without the work of the volcani center, Israel’s Kibbutzim and Moshavim, and development of the Galalee and Negev would not have been possible. Dr. Bernstein will present key events in the history of Israel’s agricultural research that was instrumental in Israel’s creation and impacted the world.